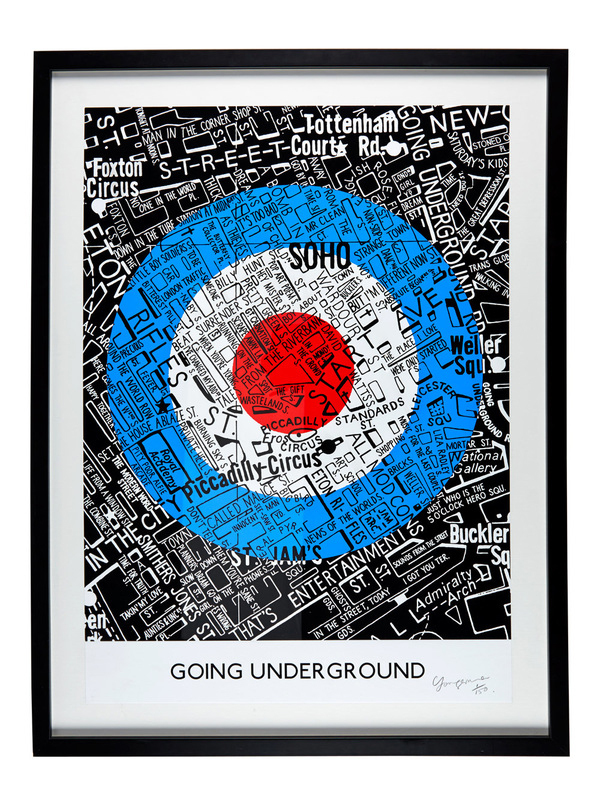 Going Underground is part of Youngerman's 'Musical Routes' print series, where we tip our hat to the most influential bands and the streets they made music in. 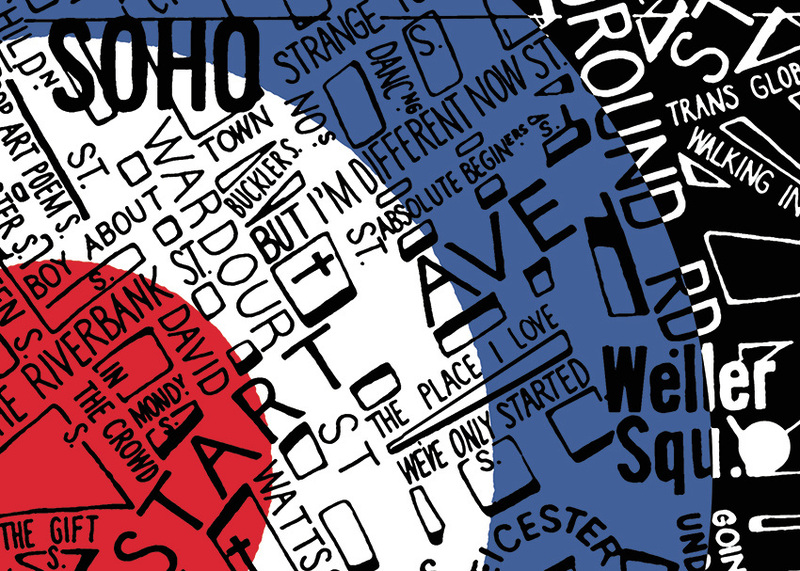 The Jam paid homage to their Soho stomping ground in many songs, such as Carnaby Street and Bomb in Wardour St, and played live in Newport St in 1976 to a packed crowd, which included a young Joe Strummer from The Clash. 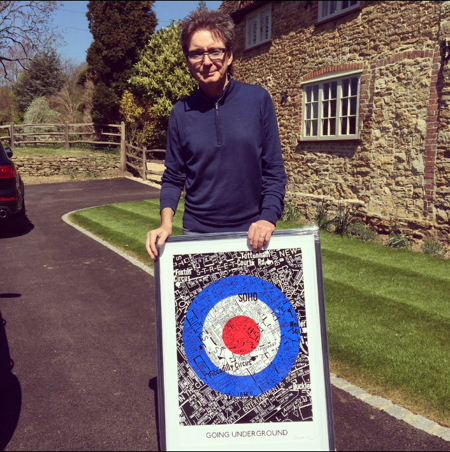 ﻿PAUL WELLER,﻿ BRUCE FOXTON and RICK BUCKLER own the first three prints. Each print is signed and numbered by the artist, Youngerman. 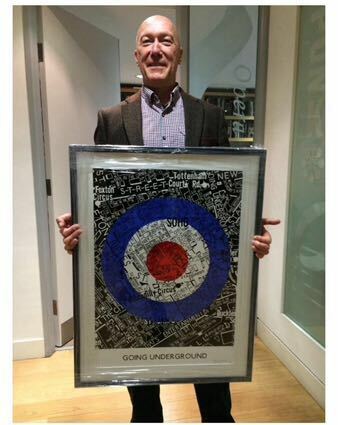 The Jam's Going Underground limited edition print comes with a certificate of authenticity. Reproduced by permission of Geographers' A-Z Map Co. Ltd. ©Crown copyright and database rights 2015 Ordnance Survey 100017302. Your order will be dispatched within 7 days and delivered to your door in a cardboard tube. Our cardboard tubes are made from recycled and recyclable materials made in the UK. Depending on where you live in the world, the cost of sending your order by special delivery will be calculated once you go to the checkout. To guarantee safe delivery of your limited edition print, you will be required to sign for your order, when it arrives. We endeavour to keep postage and delivery costs to an absolute minimum. Our postage costs are calculated in accordance with current UK Royal Mail prices. Thank you for visiting the Youngerman website. Hope to see you again soon.